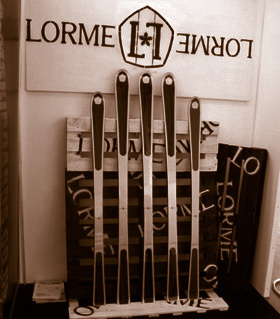 The ski-designer Ludovic Lacroix is launching a new flagship for his skis, LORME, instilling a wind of change into his legendary family history, while ensuring the same attention to technical and aesthetic perfection. 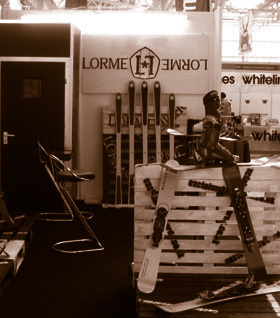 During the London Metro Ski and Snowboard Show, he presents the first collection of LORME hand-crafted top-of-the-range skis, individually made in France (Jura) and Switzerland (Vaud). These skis are perfect for the skier who loves to switch snows, carving sweeping turns from piste to powder. Combining the highest quality materials and the latest technologies with impeccable design and clean lines, they are crafted in a limited number, in 6 models � 1 in carbon and 5 in precious wood � specifically designed for multi-purpose skiing. 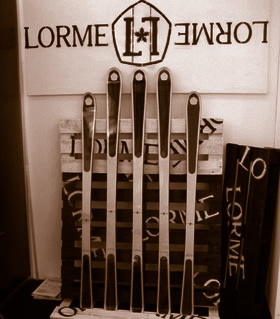 LORME's origins date back to the ski manufacture of Bois d'Amont (Jura, France), founded in the 1960s, which has stood as one of the symbols of ski competition for decades.